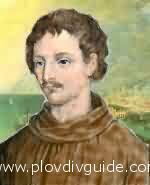 February 17th, 1600, Giordano Bruno died in the flames, sentenced to death by the Inquisition. 52 years yearlier, in the year 1548, an Italian boy was born in the little town of Nola, not far from Vesuvius. Although, he spent the greater part of his life in hostile and foreign countries, he was drawn back to his home at the end of his travels, after having written nearly twenty books. This article is based on excerpts from "Giordano Bruno: The Forgotten Philosopher", by John J. Kessler, Ph.D., Ch.E.